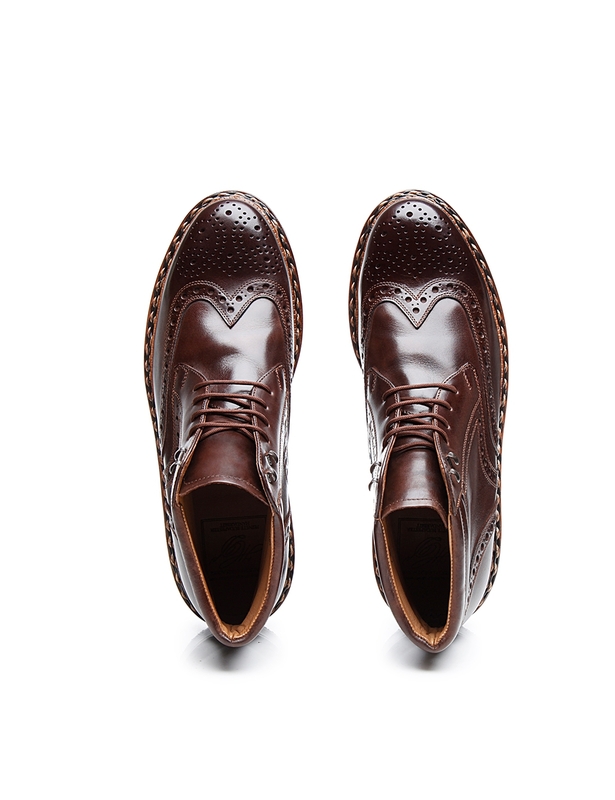 Richly detailed patterned perforation was originally used by shepherds on the Scottish and Irish Highlands to easily drain water that had seeped into their shoes. 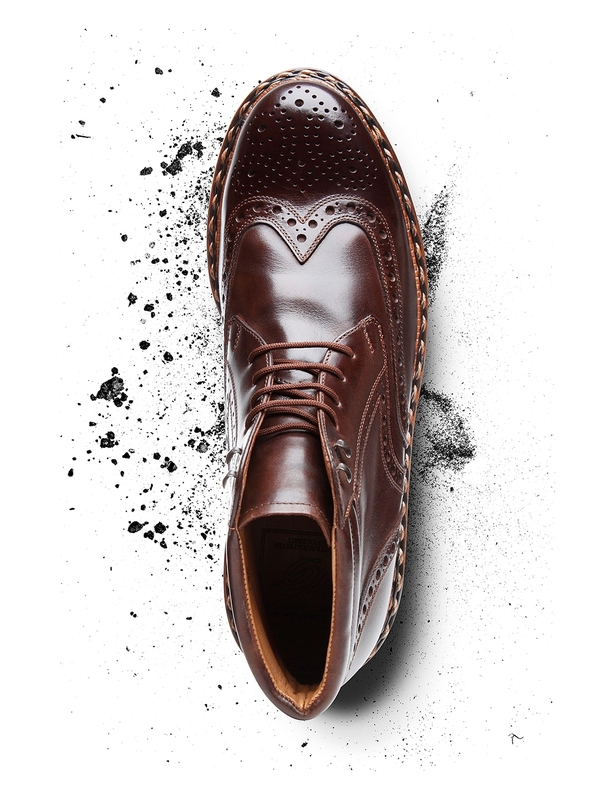 Today, these holes serve a purely decorative purpose. 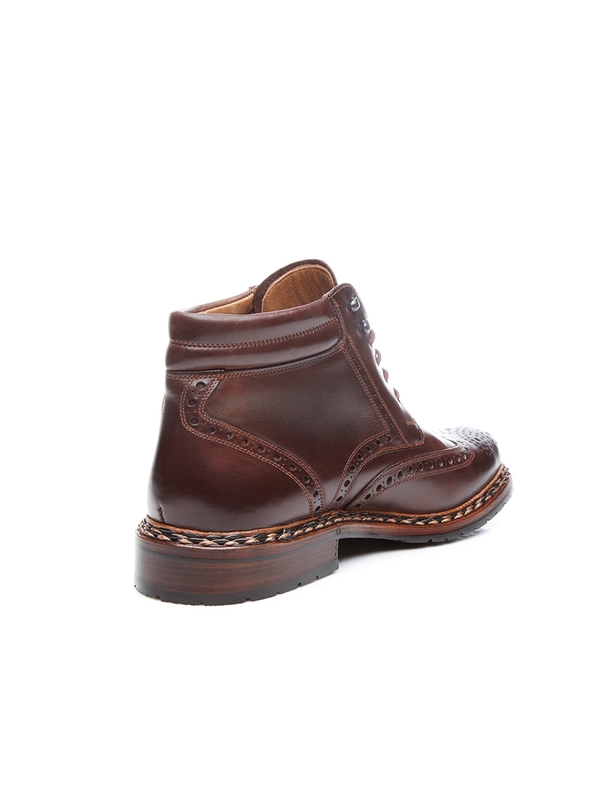 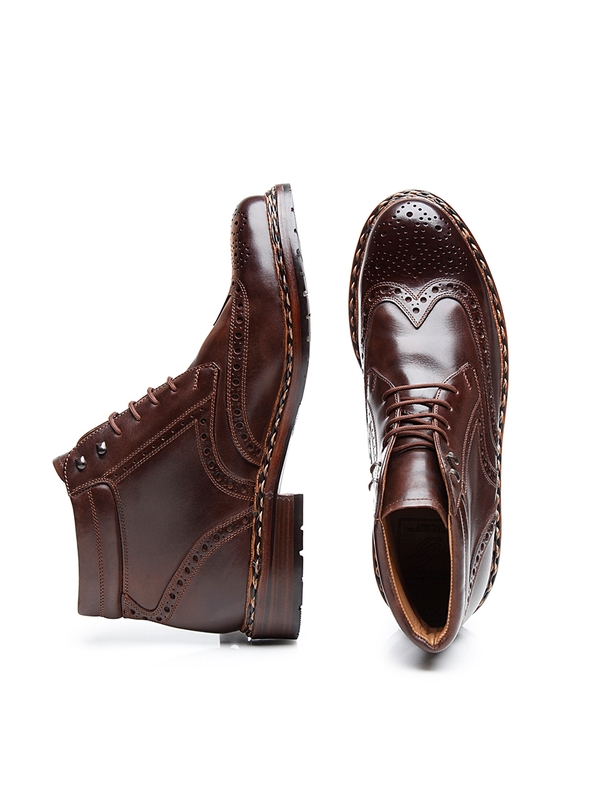 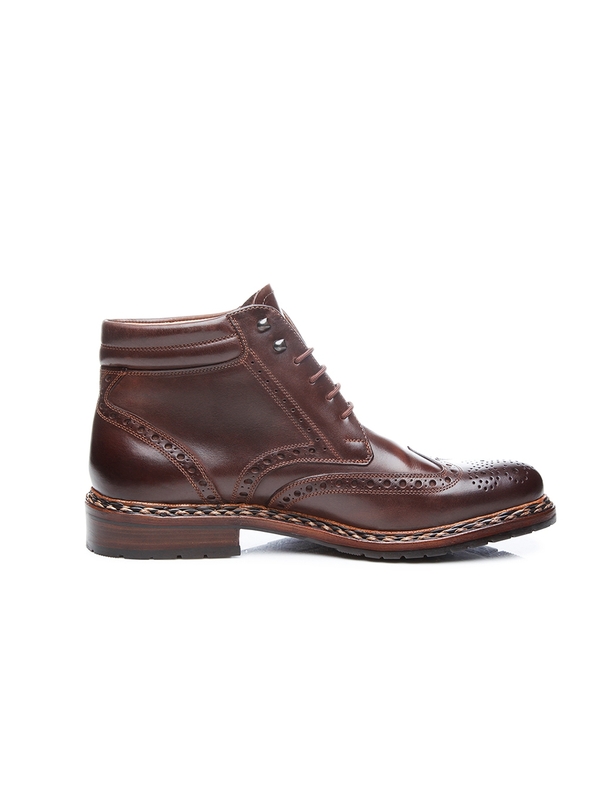 In this instance, they underscore the unique character of this handcrafted men’s boot. 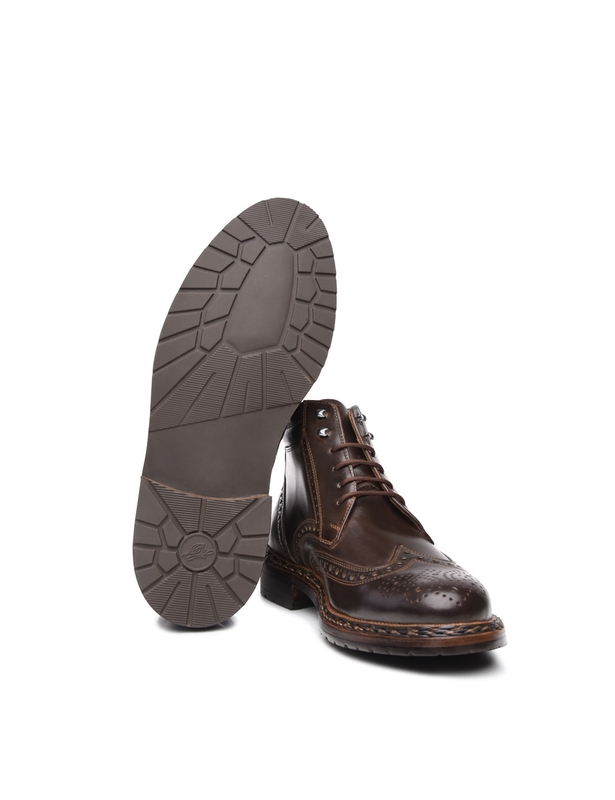 Made from water-repellent greased nubuck and fitted with a robust rubber lug sole, this double-stitched boot is the perfect choice for staying stylish yet warm and dry on days when the weather is just miserable. 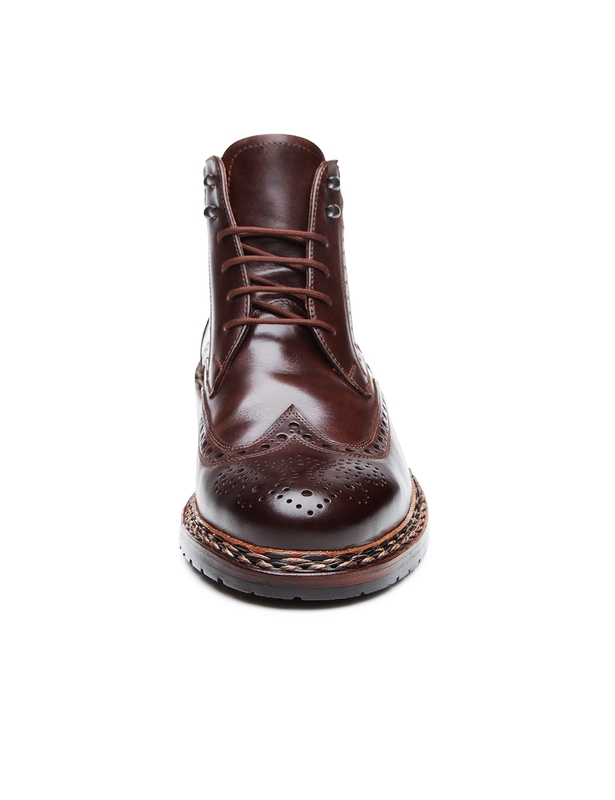 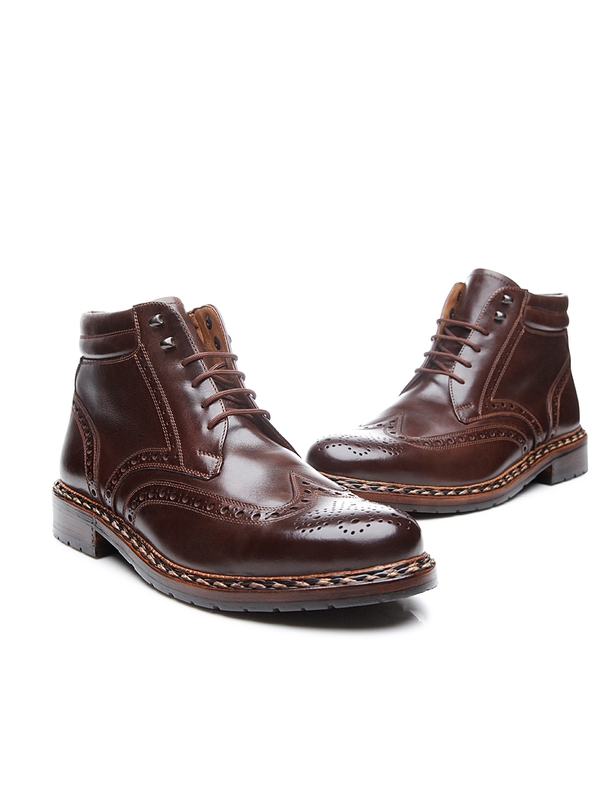 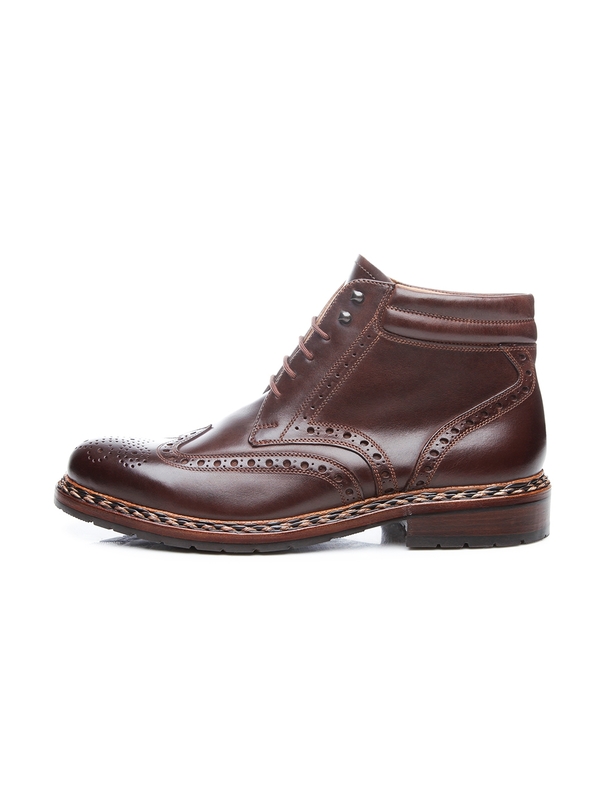 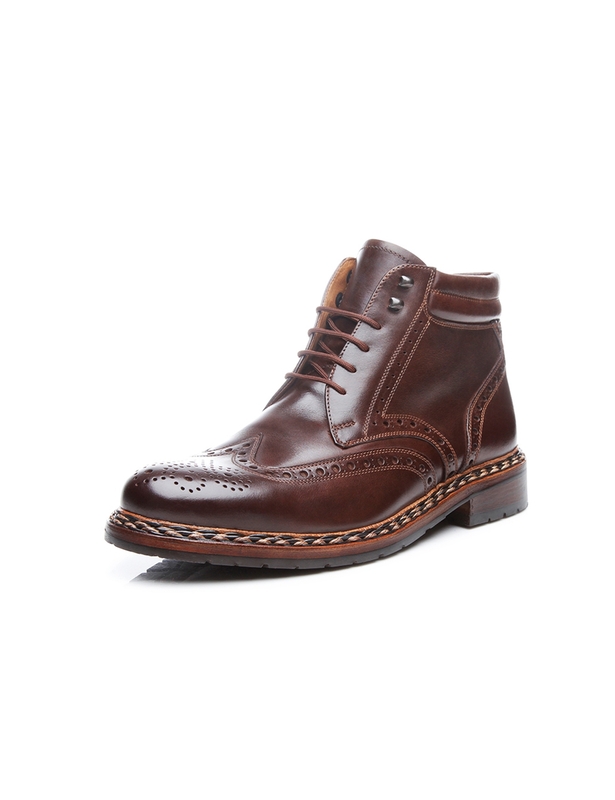 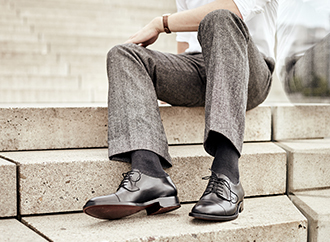 Open hook-and-eyelet lacing lends this men’s boot a certain air of nonchalance. 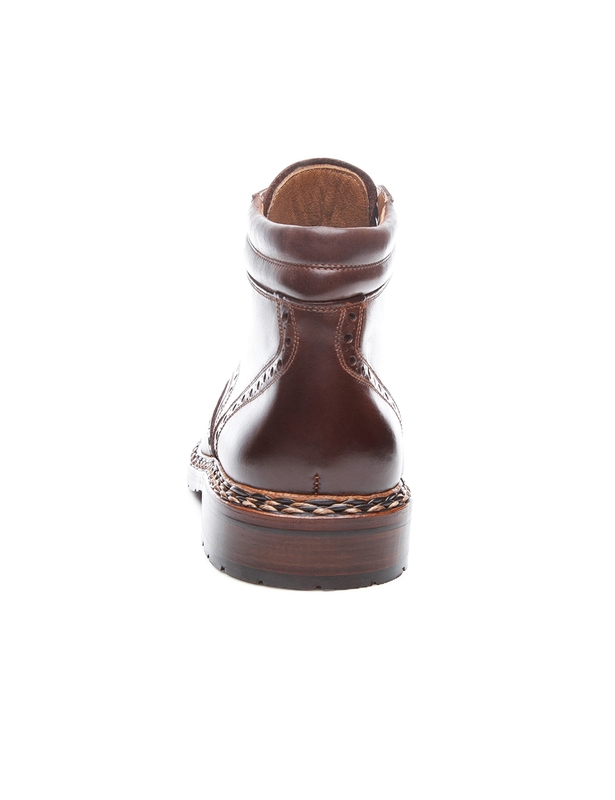 Moreover, a hand-woven braided welt attests to the lovingly detailed craftsmanship that went into making this boot in our Budapest factory. 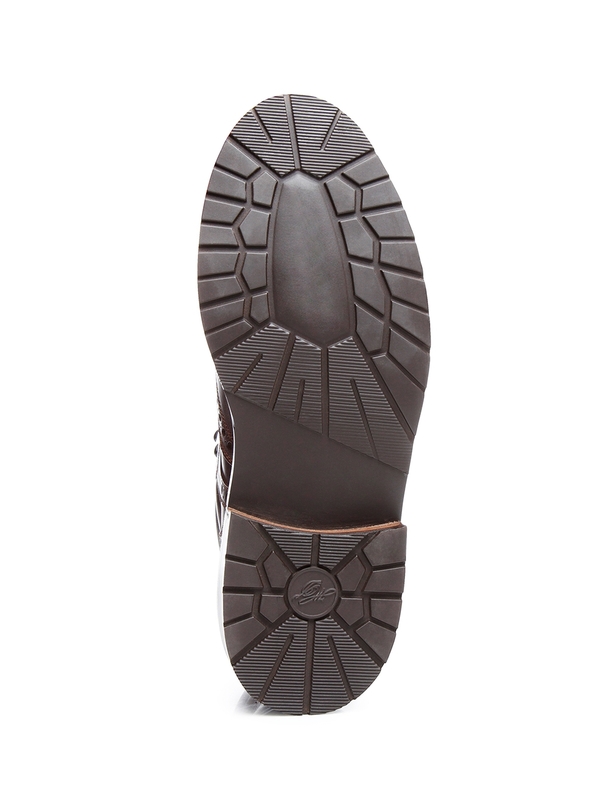 Its flexible leather midsole is protected by a water-repellent rubber lug sole.